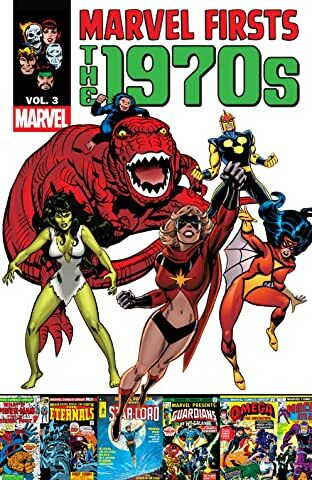 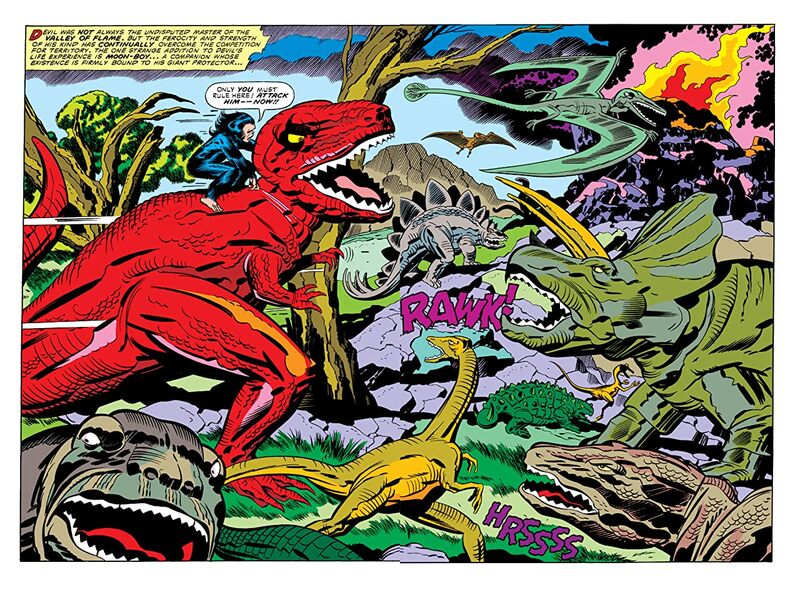 Devil Dinosaur starts here! 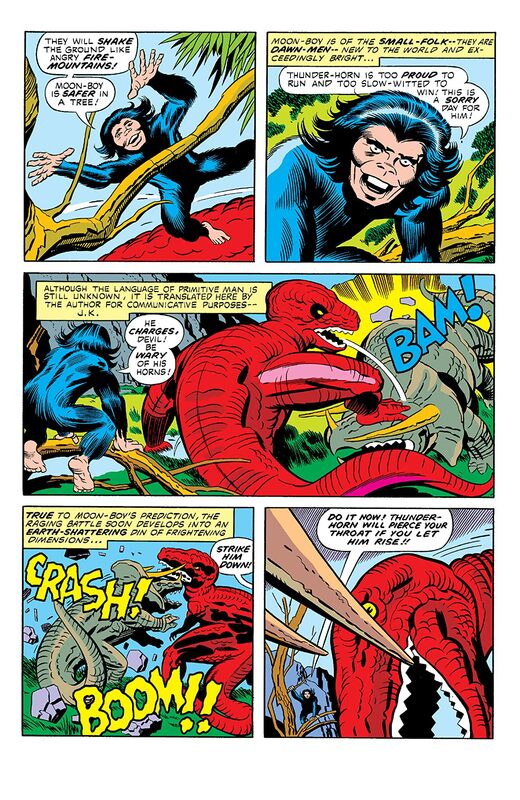 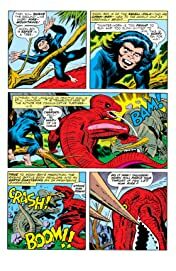 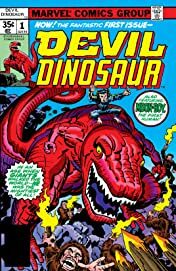 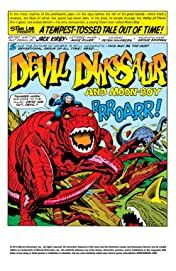 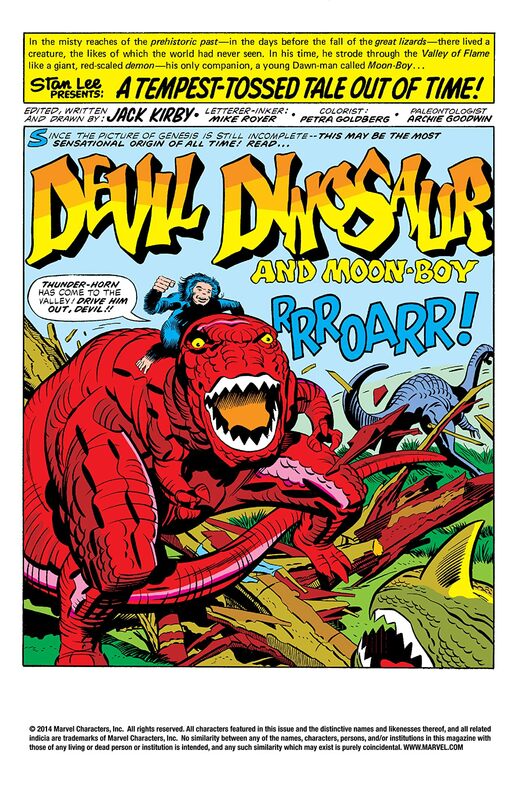 Deep in the Valley of the Flame, Moon-Boy reveals the origins of Devil Dinosaur. Is the red-skinned and red-eyed Dino as menacing as the town-folk believe?